The RuvC Nuclease initiates cleavage of the DNA strand not complementary to the guide RNA. 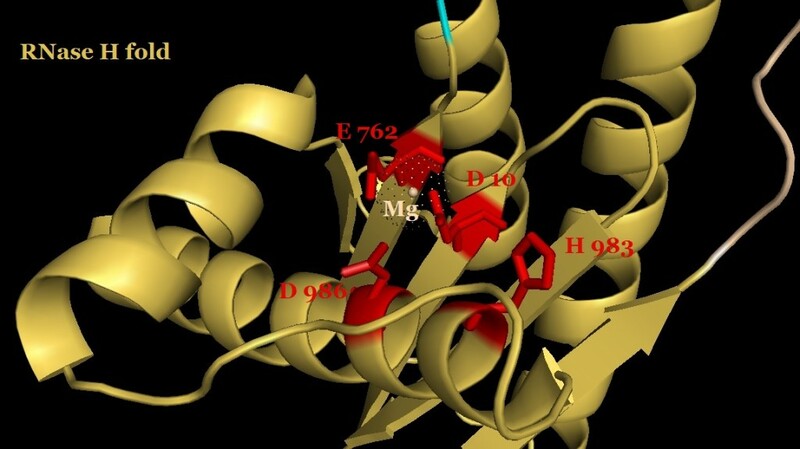 The crystal structure of the active site is shown above, and catalyzes single-stranded DNA cleavage through a mechanism similar to the two-metal mechanisms of RuvC holiday junction resolvases (Nishimasu et al. 2014; Gorecka et al. 2013). The RuvC nuclease shares an RNase H fold structure, shown to right, with other nucleases in the retroviral integrase superfamily (Nishimasu et al. 2014). 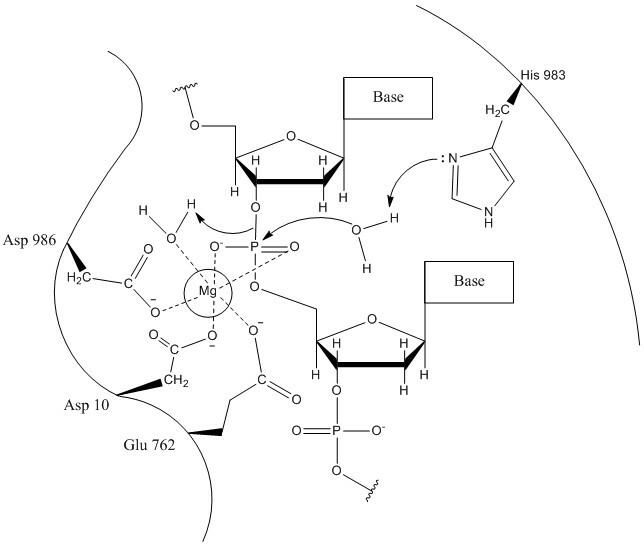 Mutation of any of the catalytic amino acids – histidine 983, aspartate 986, aspartate 10, or glutamate 762 – resulted in loss-of-function of the RuvC nuclease domain, and the creation of a functional Cas9 nickase. This data further supported the two-metal mechanism of RuvC (Nishimasu et al. 2014). Below is a putative mechanism based on the active site information from a RuvC holiday junction resolvase and the RuvC domain of the Cas9 nuclease (Nishimasu et al. 2014; Gorecka et al. 2013). I appreciate the work you have put into this site. It has been very useful for an upcoming seminar I am presenting related to the chemistry of Cas9 enzyme. 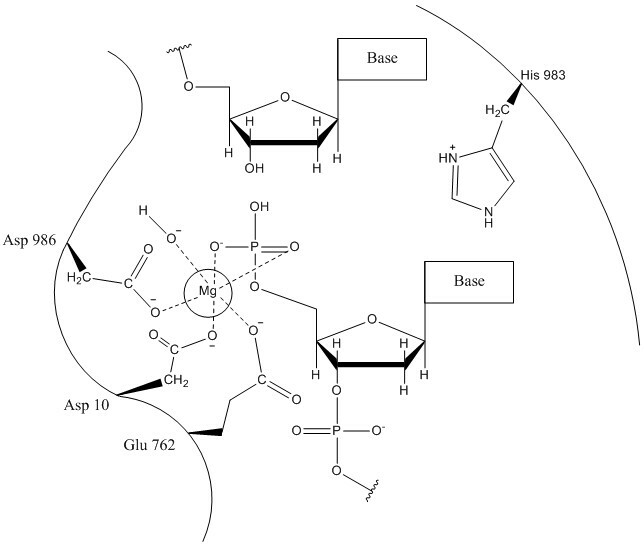 Do you know of any details or do you know a proposed mechanism for release of the phosphate from the Mg ion and release of the cut DNA from the enzyme?